This beautiful Log Lounge Chair & Ottoman will be a perfect addition to your rustic living room. 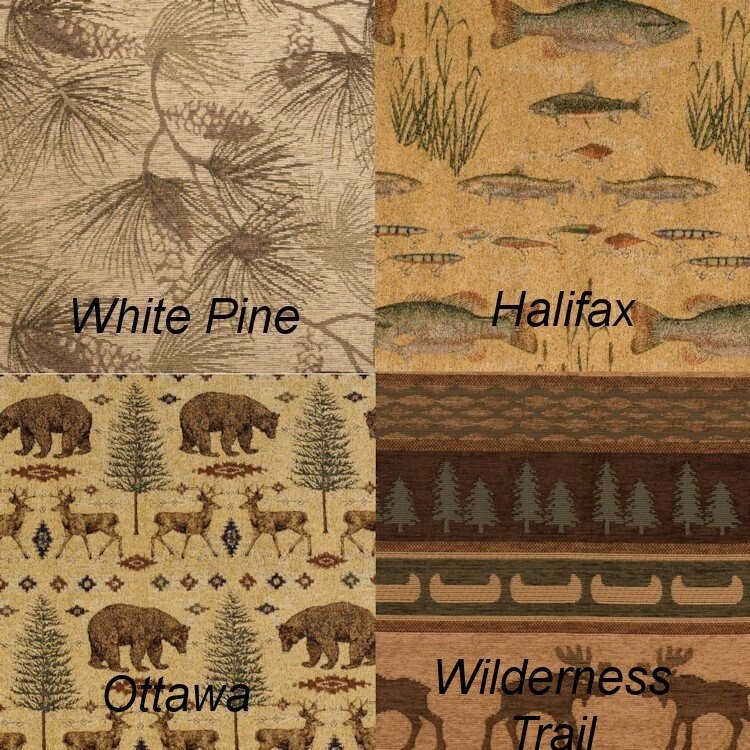 Each piece is individually hand crafted and made of hand peeled white cedar logs giving it a natural rustic look. A clear coat catalyzed lacquer finish adds extra durability. 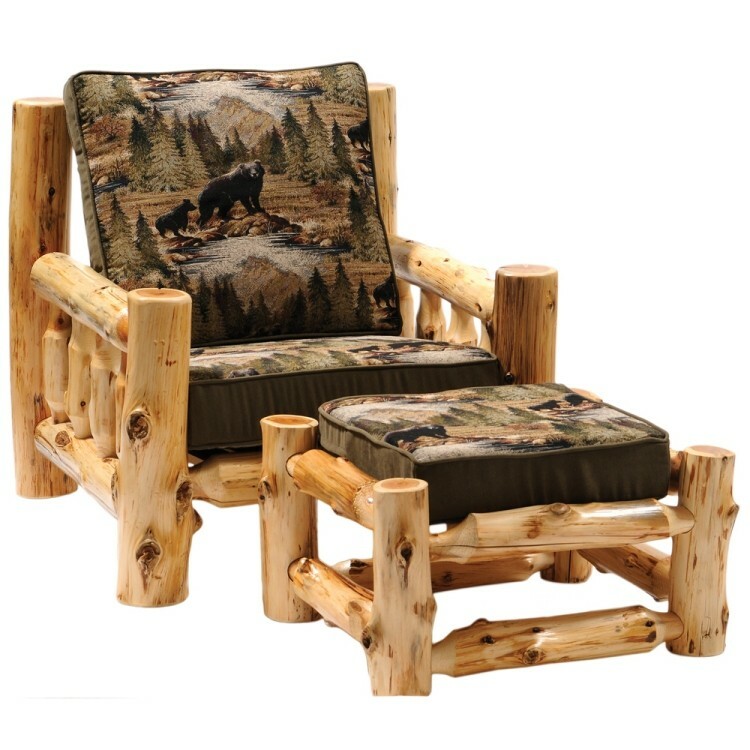 This beautiful Log Lounge Chair & Ottoman will be a perfect addition to your rustic living room. Each piece is individually hand crafted and made of hand peeled white cedar logs giving it a natural rustic look. A clear coat catalyzed lacquer finish adds extra durability. The log chair features cushion with high-density foam with Dacron wrap for lasting comfort. The back cushion is an over-stuffed poly foam pillow and full log back.